In March we took the squares of Frankfurt with ten thousands of people from around Europe and blocked the opening of the new headquarter of the ECB to state that “their Europe” is neither speaking in our name nor we think of the ECB, the Troika, the Europe of capital as a solution to “the crisis”. To the contrary, the endless debt spiral is drowning some economies while obliging others to accept “reforms” that are further dividing people in rich and poor, in citizens and foreigners, in valuable and useless. And since austerity policies allow the accumulation of money in a few hands, dark right winds are blowing from various sides; forming storms, exploiting the widespread social disadvantage and calling for new exclusions, borders, separatisms, as the elections in the UK make apparent. EU governments are using these for implementing new frontiers, new divisions, and new rules. They – the right forces as well as governmental responses – represent the problem, not the solution. Yet, in Frankfurt we also said Europe is not only a slogan, it is the space of our common initiative. Our Europe is an open space of solidarity, mutuality, freedom and rights we are fighting for. Yet, we all know: the battle is going on! The people in Greece stood up against blackmail and the ruling of the elites, against the Europe of precarity and austerity; in Spain people decided just now to take back some power of “self-ruling”. This is a spark of hope, hope that fired up and is ready to spread to other European regions. However, this is what the elites clearly want to extinguish. No other paradigm is admitted, not alternative should be opened up. Clearly, the outcome of this ongoing battle defines not only the Greek’s future, but our all futures. At the same time and within the same space ten thousands of people are forced to pass through the deadly Mediterranean Sea – each day defying the rules of European exclusions and claiming their rights for a better life. Governing mobility – within the continent and between the continents – is one of the core aspects of ongoing the capitalism of accumulation. It is a mode of production that is based on the differential circulation of commodities, values and bodies with distinguished rights: between those who count as citizens and who do not, between those who can stay and who have to go, between social rights some get and others are not entitled to. Consequently, while people are dying in the Mediterranean Sea, and while many citizens in all of Europe are outraged by this, European representatives on the other hand are preparing plans to build up new frontiers and to move the borders a little bit farther away in the name of solidarity: this is disgusting! June 20th is the World Refugee Day. 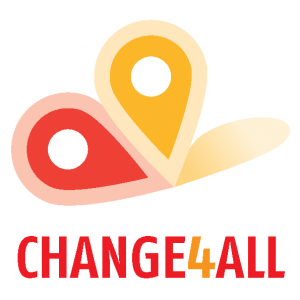 June 20th is also the first day of the week of action and solidarity with the people in Greece (http://www.change4all.eu/). We firmly believe that now is the time to act. With our friends and comrades in Greece we know that the outcome of the ongoing battle against austerity matters to all of us. We also know in the light of the continuous attacks to people’s lives that we can’t remain spectators, but need to intervene, confront, and continue to practice our freedom just as migrants who everyday fight against the border regime and for their rights. Democracy and solidarity are borderless: there is no debt that can blackmail our present, no frontier that can establish who is citizen and who is not! Let’s turn June 20th and the following week all over Europe into days of real solidarity and connection; let’s use that moment to claim a Europe without borders, a Europe of rights and of solidarity. For these last years we have started a process transnationalizing our anti-austerity struggles – through Blockupy and beyond. We firmly believe in building new forms of real democracy from and through our differences and commonalities. We believe in public intervention and radical street practice with concrete actions of civil disobedience. Another Europe has not to be just mentioned but practiced. We will and we should continue to do this in these escalating times. All of us should become active in the upcoming week of mobilization between 20th and 26th of June as well as on June 13th when migrants demonstrations for an unconditioned European minimum visa in different Italian cities and Frankfurt will take place. Demonstration, action, rallies are already planned in Berlin, Paris, Rome, Brussels and many more in the week of solidarity. Our time is now and we won’t allow others to decide on our lives. Solidarity beyond borders, building democracy from below! Join the week of European mobilization for Greece and let’s build an alternative World Refugee Day!